Nor does it appear that the meeting has resulted in any tangible breakthrough toward the goal of improving the strained U.S.-Russian relationship. This includes the most important area in which U.S. and Russian security interests continue to align: reducing the risk of catastrophic nuclear war and curbing a qualitative nuclear arms race that threatens to become a quantitative arms race. Trump and Putin have an important opportunity to put the brakes on a new, potentially more dangerous, arms race. Important steps in that direction would come from extending New START, preserving the INF Treaty while resolving compliance disputes, and resuming discussion of the strategic stability agenda, from which both sides and the broader world community will benefit. Read more about Can Trump and Putin Head Off a New Nuclear Arms Race? The Trump administration plans to conduct an interagency review on whether to extend the 2010 New Strategic Arms Reduction Treaty (New START) with Russia, according to two Trump administration officials. Robert Soofer, deputy assistant secretary of defense for nuclear and missile defense policy, told the Senate Armed Services Committee on April 11 that the review would begin soon and assess the “pros and cons” of extending the treaty. Expiration of the accord in 2021, without a replacement, would remove numerical caps on U.S. and Russian nuclear arsenals for the first time since the 1970s. Anita Friedt, acting assistant secretary of state for arms control, verification, and compliance, told the Arms Control Association’s annual meeting April 19 that an extension “is something we’re looking at” but that there is no target date for the completion of the review. Friedt added that the administration will take into account Russian compliance with other arms control agreements when weighing whether to extend New START. The United States has accused Russia of being in violation of several arms control treaties and commitments, most notably the 1987 Intermediate-Range Nuclear Forces (INF) Treaty. Signed in 2010, New START requires the United States and Russia each to reduce strategic nuclear forces to no more than 1,550 deployed warheads, 700 deployed delivery systems, and 800 deployed and nondeployed delivery systems by Feb. 5, 2018, a deadline that both countries met. The treaty also includes a comprehensive suite of monitoring and verification provisions to help ensure compliance with these limits. Some Republican members of Congress, such as Sen. Tom Cotton (Ark. ), have expressed concern about a potential extension given Russia’s violation of other arms control agreements and development of new nuclear weapons delivery systems not limited by New START. “Given that set of circumstances, I think we should take a serious second look at extending” New START, he said at an April 11 Senate hearing. The House-passed version of the fiscal year 2018 National Defense Authorization Act would have prohibited the use of funds to extend New START unless Russia returns to compliance with the INF Treaty. (See ACT, September 2017.) The final version of the authorization bill signed by Trump in December did not include that provision. (Washington, Hamburg, Moscow)—With relations between Washington, Moscow, and Europe at their lowest point since the end of the Cold War, a distinguished, high-level group is warning that urgent steps need to be taken to contain nuclear risks and tensions and prevent a new nuclear arms race. Among the signatories to the statement are: Des Browne, former Secretary of State for Defence of the United Kingdom, Richard R. Burt, former U.S. negotiator of the Strategic Arms Reduction Treaty; Tom Countryman, former U.S. Assistant Secretary of State for International Security and Nonproliferation, Chair of the Board of Directors of the Arms Control Association; retired Major General Dvorkin, a chief researcher at the Center for International Security at the Institute of Primakov National Research Institute of World Economy and International Relations; Gen. Victor Esin, former Chief of Staff and Vice Commander-in-Chief of the Russian Strategic Rocket Forces; Volker Rühe, former Minister of Defense, Germany; Strobe Talbott, former U.S. Deputy Secretary of State; and Sen. Richard G. Lugar, former Chairman, U.S. Senate Foreign Relations Committee. “Without a positive decision to extend New START, and if the INF Treaty comes to an end, there would be no legally-binding limits on the world’s two largest nuclear superpowers for the first time since 1972, and the risk of unconstrained U.S.-Russian nuclear competition would grow,” the statement warns. “Presidents Trump and Putin … should discuss and pursue—on a priority basis—effective steps to reduce nuclear risks and tensions, and to avoid a renewed nuclear arms race,” they write. Immediate Extension of New START Treaty. This treaty imposes important bounds on the strategic nuclear competition between the two nuclear superpowers. The treaty will by its terms expire February 5, 2021, but can be extended by up to five years by agreement by the two sides. Extending the treaty until February 2026 would preserve its significant security advantages—both the limits and the transparency that is provided by the treaty’s verification measures. Intensified Efforts to Resolve INF Treaty Compliance Questions. 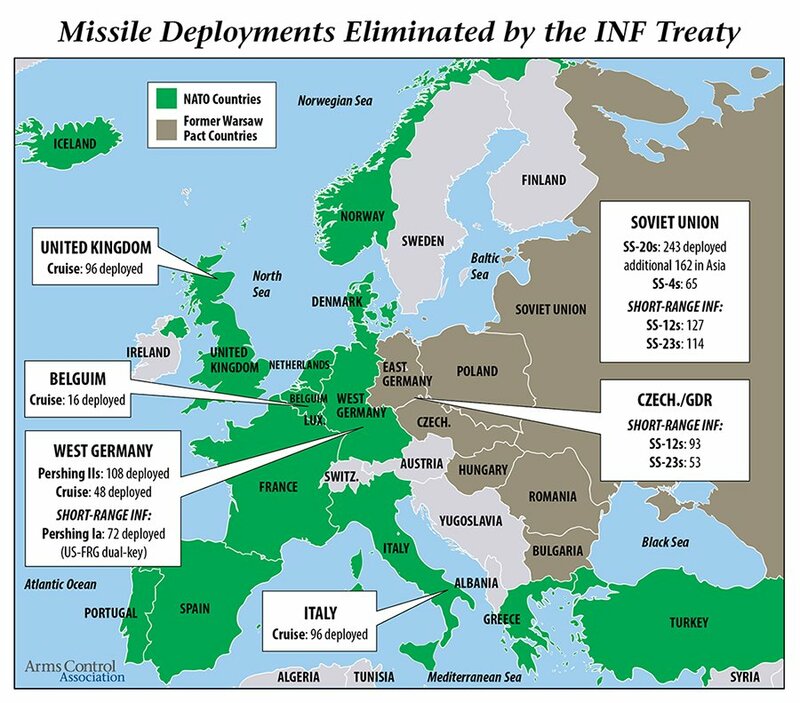 The Intermediate-Range Nuclear Forces Treaty made a major contribution to European and global security by eliminating all U.S. and Soviet ground-launched ballistic and cruise missiles with ranges between 500 and 5,500 kilometers. Unfortunately, the treaty is now at risk, with the United States and Russia exchanging charges of treaty violations, and the U.S. government stating that it will not allow Russia to gain a military advantage through its violation. Currently, no meetings are scheduled to address the issue. A resolution of the dispute requires high-level leadership from the White House and the Kremlin. Maintaining a Regular Dialogue on Strategic Stability. U.S. and Russian officials held a round of strategic stability talks in September 2017 but they postponed a follow-up round that was to be held earlier this year. They should make that dialogue a continuing and regular part of the U.S.-Russian agenda. Sustained Military-to-Military Dialogue on Key Issues. Over the past five years, the instances of U.S. and NATO military aircraft and warships and Russian military aircraft and warships operating in close proximity to one another have increased dramatically. NATO has deployed ground forces to the Baltic states and Poland, putting them in closer proximity to Russian ground forces. U.S. and Russian forces also operate in close proximity in Syria. The risk of accidents and miscalculations that could escalate to a full-fledged armed conflict is growing. The full statement is available online in English and in Russian. The treaty is one of the few remaining bright spots in the U.S.-Russian relationship, as both sides have abided by its terms. Signed in 2010, the treaty requires each country to reduce its strategic nuclear forces to no more than 1,550 deployed warheads, 700 deployed delivery systems, and 800 deployed and nondeployed delivery systems by the February implementation deadline. New START also includes a comprehensive suite of monitoring and verification provisions to help ensure compliance with these limits. As of the most recent biannual exchange of treaty data compiled by the State Department last September, the United States had met the limits for all three of the central weapons categories ahead of the deadline. Russia had reached two of the limits and was a mere 11 deployed warheads above the required limit of 1,550. New START is set to expire on Feb. 5, 2021, and can be extended by up to five years without further approval by the U.S. Senate or Russian Duma if both presidents agree. But U.S. President Donald Trump has criticized the treaty and in a January 2017 phone call responded negatively to a suggestion from Russian President Vladimir Putin that their countries work to extend the treaty, according to Reuters report. The U.S. administration is conducting a Nuclear Posture Review, which could involve consideration of the New START limits. (See ACT, March 2017.) The review is scheduled to be completed in February. If New START is allowed to lapse with nothing to replace it, there would be no limits on U.S. and Russian strategic nuclear forces for the first time in decades. “We hope that after the February deadline is met” and the administration’s nuclear posture and ballistic missile defense reviews are complete, “we can begin to assess whether or not extending New START for an additional five years…is in our national security interest,” said Ford, who is now assistant secretary of state for international security and nonproliferation. But some Pentagon officials have said that it is too early to consider extending New START. There is “no need to extend New START today,” Gen. Paul Selva, the vice chairman of the Joint Chiefs of Staff, told the House Armed Services Committee in March. Apart from New START, other key pillars of the U.S.-Russian nuclear arms control architecture, like the bilateral relationship more broadly, are under siege, most notably the 1987 Intermediate-Range Nuclear Forces (INF) Treaty. Since 2014, the United States has accused Russia of violating that accord. Sen. Tom Cotton (R-Ark.) said at an event in Washington in July that by threatening New START and the 1992 Open Skies Treaty, two accords that Russia hopes to preserve, the United States demonstrates a “firm and unyielding response” to Russian noncompliance. The final version of the authorization bill signed by Trump in December did not include the House language on New START. Relations between Russia and the West have sunk to an historic low. Since President Vladimir Putin’s decision to annex Crimea and foment a low-level conflict in eastern Ukraine nearly three years ago, tensions between the United States and Russia have worsened across a range of issues, some new and some old. Several key nuclear arms control and disarmament agreements that helped bring an end to the Cold War nuclear arms race continue to serve to constrain nuclear competition and maintain strategic stability. These include the 2010 New Strategic Arms Reduction Treaty (New START), the 1992 Open Skies Treaty, the landmark 1987 Intermediate-Range Nuclear Forces (INF) Treaty, and the 1996 Comprehensive Test Ban Treaty. 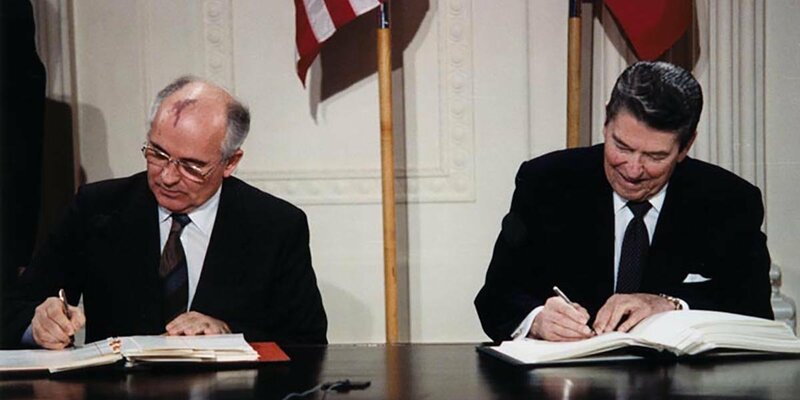 The INF Treaty was a major breakthrough that helped to halt and reverse the Cold War-era nuclear arms race and remove a significant threat to Europe. It marked the first time the superpowers had agreed to actually eliminate nuclear weapons and utilize extensive on-site inspections for verification. The treaty, which is of unlimited duration, required both sides to eliminate and permanently forswear all of their nuclear and conventional ground-launched ballistic and cruise missiles with ranges of 500 to 5,500 kilometers. The two sides eliminated 2,692 short, medium, and intermediate-range nuclear-armed missiles by 1991. There are growing signs, however, that the INF Treaty is under serious and increasing stress. Failure to resolve the festering compliance dispute could threaten the treaty and impede further efforts to reduce bloated U.S. and Russia nuclear arsenals in the years ahead. Russia denies that it is breaching the INF Treaty. The Russian Foreign Ministry said in December that the allegations are “groundless” and the United States has “not provided any proof” that Russia is “allegedly producing and deploying” banned missiles. Moscow has instead raised its own concerns about Washington’s compliance with the agreement, charging that America is placing a missile defense launch system in Europe that can also be used to fire cruise missiles, using targets for missile defense tests with similar characteristics to treaty-prohibited intermediate-range missiles, and making armed drones that are equivalent to ground-launched cruise missiles. To this point, bilateral political discussions at senior levels have not led to a resolution of the compliance dispute. Neither side had sought to use the dispute resolution mechanism allowed for by Article VIII of the treaty – the Special Verification Commission (SVC). Until at least January of this year, senior Defense and State department officials said that Russia had not deployed the prohibited missile. The report also revealed that the United States has called for a meeting of the SVC to discuss and seek to resolve the U.S. compliance concerns. The U.S. State Department has since confirmed that a meeting has been requested and Russia has indicated that it plans to attend. Both sides could be facing a new and even more difficult situation if they do not effectively use the SVC to bolster the INF Treaty. 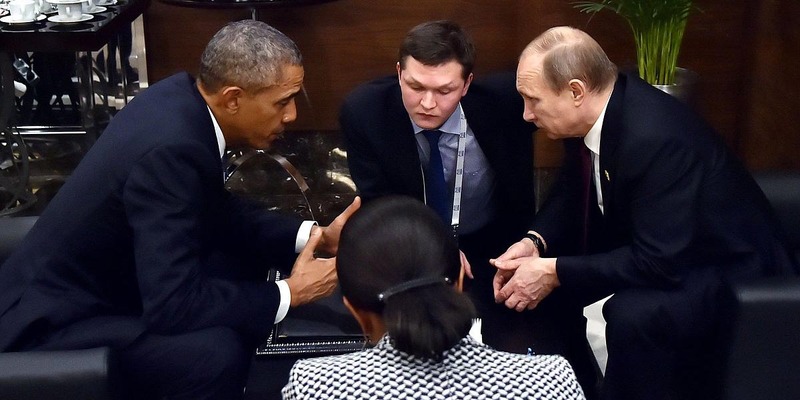 Support in-depth analysis and alerts on U.S.-Russian nuclear cooperation. Become a member of the Arms Control Association today. Convening the SVC to resolve mutual compliance concerns has been a longstanding recommendation of the Arms Control Association, as well as expert colleagues involved with the 21-member U.S.-Russian-German Deep Cuts Commission, and others. Russia’s alleged noncompliance with the treaty is a serious matter that deserves a strong and measured response. To date, the United States has imposed diplomatic costs on Russia and has taken some military measures as part of a larger response to concerns about Russian behavior, including the INF Treaty violation. Washington has properly treated the violation more as a political problem rather than a military one. But that would likely change if Russia moved from testing to actual deployment of INF Treaty noncompliant missiles. If it hasn't done so already, the Obama administration should craft a plan for how the compliance concerns of both sides could be addressed in the event Russia engaged and signaled its willingness to return to compliance. This could include consideration of additional confidence-building measure and information exchanges that take into account technological and political developments that have occurred since the treaty’s entry into force. From a U.S. and European security perspective, the key goal is to prevent Russia from deploying (or conducting further tests of) INF Treaty-prohibited missiles or withdrawing from the agreement entirely. Meanwhile, the United States should seek new ways to provide further details about the nature of the Russian violation. The inability to share more information has made it easier for Russia to deny a violation exists and harder for U.S. allies and other countries to put additional pressure on Russia. Both sides should understand and explain why the INF Treaty and the existing bilateral and multilateral arms control architecture continues to serve U.S., Russian, and European security interests and head-off even more dangerous military competition. Without continued U.S. support for arms control agreements and other types of cooperative nonproliferation engagement, Russian forces would be unconstrained. Not only would the United States have little leverage or basis to constrain Russian forces other than military and economic measures, it would not have verification measures in place to assess what Russia is doing. Overall, the implementation record of these treaties has been highly successful, which is why presidents from both parties have pursued them. If Russia continues to remain in noncompliance with the INF Treaty and especially if Russia decides to deploy noncompliant missiles or threatens to pull out of the treaty, the United States should pursue firm but measured steps to reaffirm its commitment to the defense of those allies that would be the potential targets of these new missiles. But it would not be militarily useful for the United States to deploy new offense missiles in Europe or seek to accelerate or expand U.S. ballistic missile defense capabilities in Europe, which would not increase the security of our allies and would only give the Russians a cynical excuse to withdraw from the treaty. Receive breaking updates and issues briefs on this issue. Subscribe to the Arms Control Association's U.S.-Russian Relations email list. The current INF Treaty crisis comes at a time when the United States and Russia are building new nuclear and conventional cruise missile systems and a number of states are developing cruise missiles. In addition, the two sides are not currently engaged in talks on further strategic nuclear reductions beyond New START. Russian officials say that U.S. and Russian reductions must take into account the arsenals of the world’s other nuclear-armed states. Today, only three countries possess nuclear-armed cruise missiles. The Pentagon is pursuing the production of roughly 1,000 new nuclear-capable air-launched cruise missiles to replace an aging legacy system. Russia is deploying the 2,000-kilometer range Kalibr land-attack cruise missile (LACM) on ships and submarines and the Kh-101 air-launched conventional and Kh-102 air-launched nuclear-armed cruise missile for delivery by bombers. France recently upgraded its nuclear air launched cruise missiles, the Air-Sol Moyenne Portée-Amélioré, and according to President François Hollande currently has 54 ASMP-A cruise missiles. In years past, the United States and Russia have both expressed support for “multilateralizing” the INF Treaty, but have devoted scant attention to such a project. In October 2007, President Vladimir Putin said that the INF Treaty should be made “global in scope.” Russia has argued for years that the INF Treaty disadvantages Russia vis-à-vis its neighbors, such as China, that lack the same constraints. The time has arrived for more serious consideration of limits on nuclear-armed cruise missiles worldwide. Given that they are nuclear-capable and increasingly accurate and stealthy, these weapons pose a significant problem for global stability and security. As the governments of Sweden and Switzerland proposed in a May 2016 working paper, the United States and Russia could jointly engage with other states on a process to reduce risks associated with nuclear armed cruise missiles. This might include options to limit, prevent deployment of, and ultimately ban all nuclear-armed cruise missiles, regardless if they are launched from the sea, air or ground. The United States and Russia could also address the challenges of horizontal cruise missile proliferation by reinforcing the relevant Missile Technology Control Regime’s restrictions and by endorsing the inclusion of land-attack cruise missiles and unmanned aerial vehicles / unmanned combat aerial vehicles in the Hague Code of Conduct against Ballistic Missile Proliferation. Moscow and Washington should exercise restraint in Russian and U.S. nuclear force modernization programs, remaining within the New START limits and acting consistent with the intent of the treaty. The United States should forego development of a new, air-launched cruise missile, and Russia should reciprocate by phasing-out of its own new nuclear-armed air-launched cruise missiles. The U.S. and Russian presidents should reaffirm that a nuclear war can never be won and must never be fought. The two sides should also agree to launch early discussions on a possible follow-on strategic arms reduction treaty, given that New START expires in 2021. Given that each country deploys far more nuclear weapons than is necessary to deter attack, they should be able to envision reductions to a level of 500 deployed strategic delivery vehicles (including cruise missiles) and no more than 1,000 deployed strategic warheads. To take into account cruise missiles and sub-strategic nuclear bombs in the active arsenals of both sides, they should consider applying any new warhead ceiling to all types of nuclear weapons. A new U.S.-Russian dialogue on strategic stability and risk reduction should also explore options for new transparency measures and reciprocal restraint measures in other related areas, including missile defenses, precision conventional strike, and sub-strategic nuclear weapons. As was the case during the Cold War, competition, confrontation, and selective cooperation is the new normal. The U.S. and Russian governments continue to cooperate in some important areas of common concern, including implementation of the 2015 Iran nuclear deal and New START, and they continue to meet with the other permanent nuclear-armed members of the UN Security Council to share views on strategic stability and nuclear policy. The NATO-Russia Council and the Organization for Security and Cooperation in Europe (OSCE), which involves 57 participating states in the area from Vancouver to Vladivostok, serves as another mechanism to address specific security concerns. However, since the conflict in Ukraine the number of Russian and NATO military-to-military incidents in the Baltic region and elsewhere has increased; military-to-military contacts have been sharply curtailed; and there are no active bilateral talks on nuclear arms reductions, missile defense, or conventional arms control and transparency in Europe. Earlier this month, Putin suspended implementation of an already troubled U.S.-Russian agreement on the disposition of excess weapons-grade plutonium. In addition, U.S. and Russian diplomats have in recent weeks clashed over Syria policy at the UN Security Council. The United States and Western European powers say that Russia’s brutal aerial bombardment of civilian areas in the besieged city of Aleppo in support of Syrian strongman Bashar al-Assad constitutes a war crime. Making matters even worse, U.S. intelligence agencies have assessed that Russian government authorities have authorized cyber hacking of U.S. entities to undermine the credibility of the U.S. electoral process. 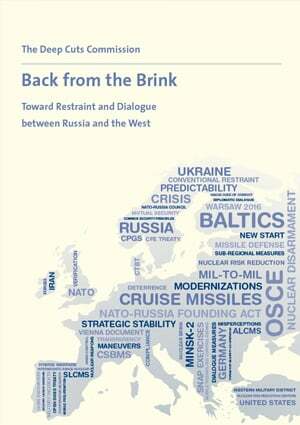 In order to reduce current security concerns in the Baltic area, NATO and Russia should initiate a dialogue on possible mutual restraint measures. A NATO-Russia dialogue should aim at increasing the security of all states in the Baltic area by encompassing reciprocal and verifiable commitments. A sub-regional arms control regime could consist of interlocking elements such as restraint commitments, limitations, confidence and security-building measures, and a sub-regional Incident Prevention and Response Mechanism. In light of the increasing dangers of military incidents between Russia, the United States and other NATO member states, the United States and Russia should revive a dialogue on nuclear risk reduction measures, capable of addressing risks posed by different sorts of emergencies in near real-time. The United States and Russia could consider creating a Joint Military Incident Prevention and Communications Cell with a direct telephone link between the U.S. Joint Chiefs of Staff, the Russian General Staff, and NATO’s Supreme Headquarters Allied Powers Europe (SHAPE). Such a cell could be linked to or established in parallel with a new European Risk Reduction Center that would link the Russian General Staff and SHAPE. The 34 signatories to the Open Skies Treaty should pay more attention to the continued operation and unimpeded implementation of Open Skies, which can help provide confidence that each side is taking actions in a manner consistent with their commitments and can help guard against surprise. The treaty allows for short-notice, unarmed, observation flights over the territories of other states-parties with the aim of promoting openness and transparency, building confidence, and facilitating verification of arms control and disarmament agreements. Each states-party has quotas covering the number of observation flights a state can actively conduct over the territory of another state and the number it must allow over its own territory. Members of the U.S. Congress should recognize the value of the Open Skies Treaty and upgrades to observation capabilities rather than put roadblocks in the way of its effective implementation. OSCE participating states should consider measures to give effect to the principle of non-intervention in internal affairs. For this purpose, the OSCE could set up a commission that would carefully look into the issue from a legal point of view and explore possibilities for a new OSCE states-based mechanism. OSCE participating States could also pursue a long-term effort leading to a Helsinki-like conference with the aim of reinvigorating and strengthening Europe’s guiding security principles.